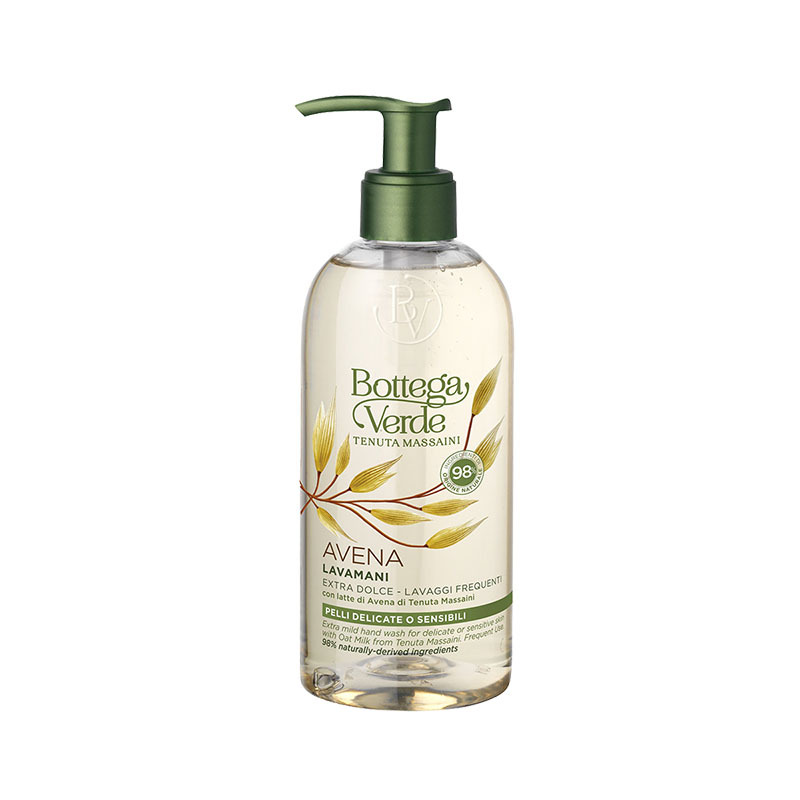 It cleanses your hands effectively while being gentle on your skin, releasing a delicate fragrance. Suitable for the whole family*. Its special formula enriched with delicate surfactants and Tenuta Massaini Oats is ideal for frequent use. It cleanses your hands effectively while being gentle on the skin of the whole family*. - Oats flourish on our estate. Their precious products, including their Milk, have moisturising and calming properties. Direction for use:How to use it: rub a small amount of the product on wet hands until it forms a soft lather. Rinse with plenty of water. Scent:Sweet, gourmand top notes: Oat milk, Rice cream. Delicate floral middle notes: Heliotrope blossoms, Cotton blossoms, Lily of the valley. Sweet woody, amber base notes: Vanilla, Sandalwood, Cedar wood. Characteristic:Excellent for particularly sensitive or dry skin. Choose it if you want a product that contains no parabens, formaldehyde releasers, SLES, colourings, EDTA.